Every spring the Bloomingdale CHARACTER COUNTS! Coalition sponsors a breakfast to recognize members of the community who live, work or attend school in Bloomingdale and exhibit one or more of the Pillars of Character: Trustworthiness, Respect, Responsibility, Fairness, Caring and Citizenship. Honorees are nominated with a description of the pillar of character that they exemplify. Left to right, front row: Ryan Zaar and Asha Kshatriya, back row: Linda Wojcicki, Alicia Eisenmann (Delish Cakes Business Award), Stefan Larsson, Ben Hoyle, Tamara Peterson, and Karima Berrabah. 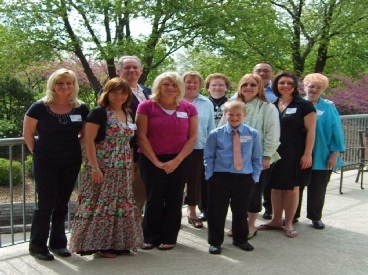 Left to right, (front row) Jameson Garcia, Alexandra Burkhardt, Ranna Kothari, (middle row) Bonni Rothbaum, Joyce Basel, Joe Salerno, Karen Kramer, and Tina Piemonte; (back row) Marilyn Johnson, Jane Michelotti, Amy Fonk, and Bill "Bump" Waghorn. Not pictured: Deborah Carlquist. Joyce Basel – Numerous volunteer initiatives during her 20 years on the Bloomingdale Garden Club, including the Community & Giving Garden, securing grant assistance for a Therapeutic Gardening program for nursing home residents, and helping to raise support for sending vegetable and flower seeds to help local families plant and harvest food in Kenya. Alexandra Burkhardt – The Westfield 8th Grader is a friend, leader and true inspiration to all she meets both in and out of school. She also inspires compassion for animals through her volunteer work at Cosley Zoo and various animal shelters. Deborah Carlquist – For the grace and kindness she conveys on a daily basis in organizing and tending to the unique demands of her special needs students and their paents. Amy Fonk – During her many years as an educator she consistently makes an emotional investment in all of her students, parents and co-workers, and for raising awareness/contributions for Relay for Life. Marilyn Johnson – For her efforts to establish the Bloomingdale’s Community & Giving Garden, which donates fresh vegetables to the Bloomingdale Township Food Pantry, and for providing assistance to a local Eagle Scout Project to construct the donation station at the garden site. Ranna Kothari – Volunteer worker for three (3) classrooms in School District 13 and for helping to organize and display all books in the school to benefit all students. Karen Kramer – For the respect, kindness and personal attentiveness she provides to all seniors who participate in Bloomingdale Township Senior Center activities. 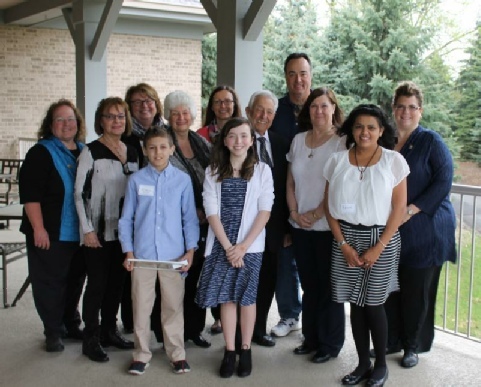 Jane Michelotti – For her volunteer service to St Paul’s Church Women’s Ministry, preparing and serving breakfast to the homeless for DuPage PADS, and as Village Clerk representing the Village at various business promotion and community events. Tina Piemonte – For her volunteer service to School District 13 as a parent volunteer, PTO member, PAC and SIP team member, and as a school crossing guard. Bonni Rothbaum – For her 22+ years of dedicated service on the Bloomingdale Public Library Board and as current President and her volunteer time for many Library projects. Joe Salerno – For his generosity toward and years of volunteer work with numerous civic and charitable causes including Bloomingdale Lions, Parks Foundation, Township, Shop with a Cop, DARE and Veterans’ Organizations, and civic organizations. Bill “Bump” Waghorn - For the caring, respect and safety assistance he provides to all seniors who attend activities at the Bloomingdale Township Senior Center. 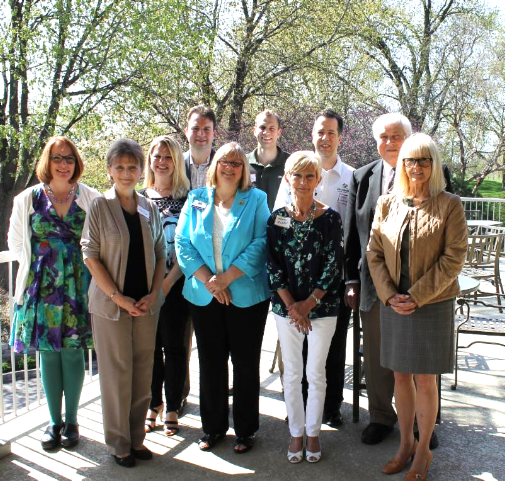 (left to right) Cyndi Bringer, Helen Price, Cynthia Hunn, Michael Hovde, Jr., Sandy VanGundy, Matt Pulchalski (Masterpiece Framing), Kathy Ogden, Gerald Marshall, John Vertnik and Kandy Jones. Cyndi Bringer - For her involvement and leadership with Teachers Encouraging Kids (TEK) after school events to build student trust, tolerance, social skills, relationships, and to promote respect and responsibility. Michael D. Hovde, Jr. - For his caring and good citizenship on the Village Board of Trustees, Hank Gianvecchio Natural Habitat Area Foundation, Bloomingdale Parks Foundation, Bloomingdale Chamber of Commerce and the Lake Park Student to Business Partnership. Cynthia Hunn - For her ongoing volunteer assistance to both teachers and students at DuJardin School and also for coordinating their 50th Anniversary celebration. Kandy Jones - For her service to the Bloomingdale Historical Society's Memorial Day Remembrance, the 10th Anniversary of 9-11 presentation at District 13, & Bloomingdale CHARACTER COUNTS! Coalition as the former Secretary and long-standing coordinator of the Annual CHARACTER COUNTS! Celebration Night. Kathy Ogden - For her service and dedication to School District 13 students, staff, school board, and community. Promoting and supporting popcorn sales for special education, and for coordinating a fundraisier and meal deliveries for a teacher afflicted with A.L.S. Gerald Marshall - For his service managing youth baseball, and to Stratford Square Home Owner's Association, Bloomingdale Chamber's 50 Men Who Cook, Bloomingdale-Roselle Rotary, and youth academic mentoring. Helen Price - For promoting and enhancing the beauty and culture of the community through the Bloomingdale Garden Club and Bloomingdale Artist Association events, and for her assistance with the Village's Salvation Army Angel Tree and employee DuPage PADS holiday meal collections. Sandy VanGundy - For her longstanding commitment to the Bloomingdale CHARACTER COUNTS! Coalition, as the former Chair and ongoing Annual Awards Coordinator, and for the care she demonstrates daily to Park District staff and customers. John Vertnik - For his service to the Bloomingdale Business Promotion Committee (B-Card, Bloomingdale's Got Talent, Village Statues), and 44 years (longest member) to the Bloomingdale Lions Club, (past President and Melvin Jones Fellow), heading up the Lions Easter Egg Hunt, Las Vegas Nights and eyeglass collection. Joyce Boryla was recognized for the work she performs three days per week as a volunteer for the Bloomingdale Police Department. Chris Breyne was recognized for his various volunteer activities including lunchtime recycling, scoreboard and concessions, as well as for coordinating the SCRIP Program at St. Isidore School. Sam D'Amico was recognized for years of dedicated volunteer service and leadership to the Friends of the Library. Erin Ducat was recognized for enriching the lives of families in Stepping Stones through sharing her knowledge and talents, and by organizing collections and a 5K Run fundraiser event. Mark Dwyer was recognized for consistently giving back to the Bloomingdale community through blood drives, coaching, mentoring, 50 Men Who Cook, and for his tireless commitment to all kids in Bloomingdale School District 13, the Education Foundation, and the Playground Fun for Everyone Project. Ron Fangusaro was recognized for representing all of the pillars of character as demonstrated through his many years of service to children and adults with vision and hearing disabilities through the Bloomingdale Lions Club, and for his service to the Village since 1999 as a Plan Commissioner. Jim King was recognized for his many years of service to Bloomingdale, as a Village Trustee, a Friend of the Bloomingdale Library, and as a Bloomingdale Lions Club member (including serving as a former Lions' president and the "spirit" inside the Lion mascot costume). Dave Lombardo was recognized for volunteer computer software and networking services that he performed for the St. Isidore's Clothing Resale event. Stan Poplonski was recognized for his service to the Bloomingdale Lions Club, local school wellness programs, the CHARACTER COUNTS! Coalition, and for his winning pastries at the annual 50 Men Who Cook. Muriel Schneider was recognized for giving her service freely to the children at DuJardin one day per week for the last 12 years, in addition to her other volunteer service at her church and at Elmhurst Hospital. Melody Vroman was recognized for her many years as a teacher at DuJardin School, and for being a person of her word, a lending hand to fellow teachers during her busiest time, and for always being someone you can count on. (Left to right front row): Deyana Matt, Anna Pahopos, Emily Stanfield, Riley Malinowski, (Back row) Peter Scalera, Paige Larson, Nanci Greene, Barb Weber, Heather Catlow, and Grace Jurgensen. (Not pictured: Theophilus Anderson, Bob Iden, Katie Montalbano, and Robert Plucinsky). 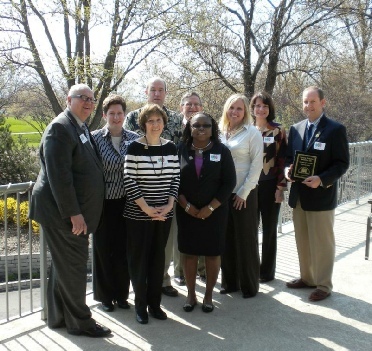 The 2013 Awards Breakfast was hosted through the generosity of Don Helmig, Catering with Elegance, on April 27th at Bloomingdale Golf Club. Theophilus Anderson was recognized for his generosity to his church, various community groups, seniors, and also for his compassion towards customers struggling to pay their invoices. Heather Catlow, music teacher at Winnebago School, was recognized for her contribution to each year's CHARACTER COUNTS! Celebration Night by working her magic as a music director to select the perfect musical piece and by consistently bringing together students from four different schools to sing together as one united spirit on celebration night. Nanci Greene was recognized for the caring that she demonstrates on a daily basis assisting staff members and inspiring and encouraging students to be passionate about learning at Bloomingdale School District 13. Bob Iden was recognized for 34 years of dedicated service to the Village of Bloomingdale, 21 years as the Mayor of Bloomingdale. Bob faithfully and positively represented and promoted the Village at countless community events and business gatherings over the years, and met with business owners and residents on a daily basis to discuss their concerns. Grace Jurgensen was recognized for the caring she has demonstrated over the past 6 years while a student at Dujardin School not only towards her fellow classmates, but also by helping student with special needs as well as school staff. Paige Larson was recognized for her conscientious and responsible volunteer service with the Bloomingdale Library. Riley Malinowski was recognized for his kind, friendly and polite treatment of fellow classmates including students with disabilities and how he looks beyond a disability as sees a person as a friend. Deyana Matt was recognized for demonstrating of all of the pillars of character in her daily interactions with District 13 students and faculty as a teacher, facilitator, mentor, leader and cheerleader. Katie Montalbano was recognized for her dedicated volunteer service with various children's charities and at youth and retirement centers in various cities. Anna Pahopos was recognized for the caring she demonstrates towards younger children and for helping others at her father's office. Robert Plucinsky was recognized for his volunteer service at the Bloomingdale Township Senior Center teaching Tai Chi; adapting the instruction for seniors with varying degrees of physical abilities, and providing other useful health information and encouragement. Peter Scalera was recognized for exemplifying all of the pillars of character while coaching the U8 Bloomingdale Boys Travel Soccer team, teaching and modeling respect, self-control and fair play. Emily Stanfield was recognized for 2 ½ years of responsible and caring volunteer service, especially with the children, at the Bloomingdale Library. Barb Weber was recognized for her years of active service to the Bloomingdale CHARACTER COUNTS! Coalition as past Chair, Treasurer and Secretary and for consistently promoting and publicizing the Coalition. She was also recognized for her efforts in coordinating the annual Salvation Army Angel Tree and DuPage Pads Holiday Meal Bag charity drives. Every spring the Bloomingdale CHARACTER COUNTS! 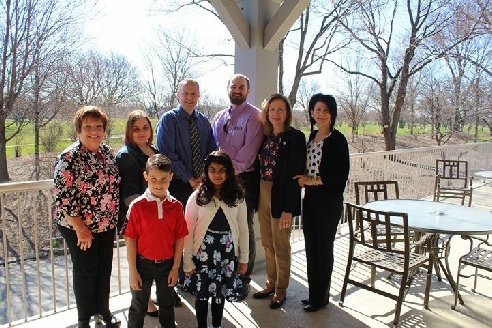 Coalition sponsors a breakfast to recognize members of the community living, working or attending school in Bloomingdale who exhibit outstanding character. In addition, one Bloomingdale Business is also recognized for exhibiting the pillars of character. Each honoree is nominated with a description of the pillar of character that he exemplifies. The 2012 Awards Breakfast was hosted through the generosity of Don Helmig, Catering with Elegance, on April 28th at Bloomingdale Golf Club. Bill Bahr was recognized for his long standing active involvement with the Bloomingdale Neighborhood Watch program, Bloomingdale/Roselle Rotary Club, VFW Post #7539, and Bloomingdale CHARACTER COUNTS! 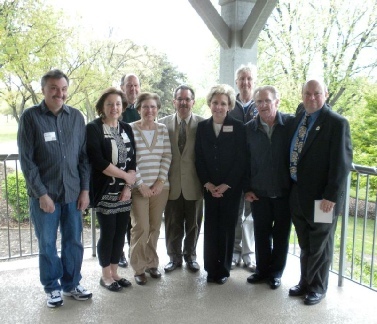 Coalition, representing both the Rotary Club and the VFW on its Board of Directors. Chad Bettencourt was recognized for his tireless efforts to save the lives of hundreds of dogs and cats as the Operations Manager at P.A.C.T. (People and Animals in Community Together) Humane Society in PETCO Bloomingdale; recruiting volunteers, setting schedules, organizing adoption events and feeding and caring for many animals. Bonnie Homola was recognized for her passion for Bloomingdale history. As the President of the Bloomingdale Historical Society, she was instrumental in publishing the book "Bloomingdale: Images of America," detailing our village history. Bonnie also helped lead the fundraising to restore the village's oldest structure, built in 1849, now known as the Bloomingdale Park District Museum. Bonnie and her group also spearhead the inspirational, annual Memorial Day Ceremony at St. Paul Evergreen Cemetery. Larry Kowalski was recognized for his many years of involvement with the Bloomingdale Lions Club serving on the Board Directors and as the Chairman of their Spaghetti Dinners and Relay for Life effort. Arthur "Woody" Monroe a veteran who served in the Pacific Theater with the 11th Airborne Division in WWII, was recognized for his 40+ years of active participation in the many school, church and Roselle Lions Club activities, and also for volunteering at the Bloomingdale Township Senior Center for 20 years, showing up daily to help out as needed, teaching a stained glass class and setting up a Tai Chi class. Dennis Rouhas was recognized for his dedication, helpfulness, initiative, willingness to help, and great attitude while carrying out his everyday tasks at DuJardin School. He always has a smile on his face and is more than willing and ready to help students at a moment's notice. Randy Sater, who is retiring from the Bloomingdale Police Department in May, was recognized for his active service in the Bloomingdale CHARACTER COUNTS! Coalition since its inception in 1998 and for his service as the Coalition Chair for several years. He has also served as the voice of the Coalition for many years as the Emcee at the annual Awards Breakfast and Recognition Night held in Old Town Park. Bill Wirkus was recognized for his service as a Block Captain with the Bloomingdale Neighborhood Watch program and for considerable time donated to his church in his support of its Deacon's Team and for its Awanas kid's club. Geralyn Zanoni was recognized as a kind person who is always willing to help others from a sick child to a parent looking for information, as well as volunteering a great deal of her time to support after-school sponsored activities at DuJardin School. Front row: Mary Ellen Johnson, Setette Phillips, and Polly MacDougall. Back row: Perry Knutson, Sue Crosson-Knutson, Bruce Root, Glenn Spachman, Dr. Jennifer Campbell and Dr. William McElroy. Pictured above are the 2010 CHARACTER COUNTS! Recognition recipients (from left to right): Terri Zak, Presey Espinosa, Frank Cook, Rene Frost, Sue Wigg, Sophie Schultz, Sam Galante, Liz Kotwas, Tom Hong, Jessica Wigg, Vi Ferguson. Not pictured Linda Beagley, Sherry Douglas and Judy Gordon. Every spring the Bloomingdale CHARACTER COUNTS! Coalition sponsors a breakfast to recognize members of the community who live, work or attend school in Bloomingdale who exhibit outstanding character. 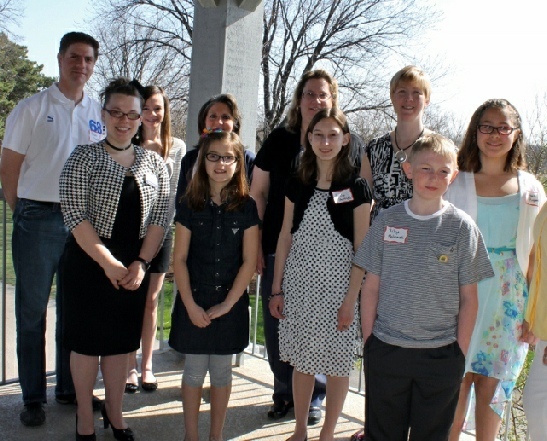 Each honoree was nominated with a description of the pillar of character that he/she exemplifies. 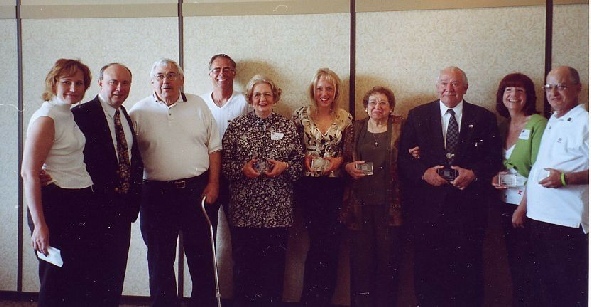 Recognition recipients,(from left to right) Kelsey Coleman, Larry Jamis, Virginia Canchola, Carol Rushton, Greg Leyden, Matt Numrich, Dorothy Jaskey, Chuck Franzen, Nicholas Feeney, Peter Delgado, Jennifer Trimble, Fefe Ho, Emma Kirkham, Maggie Kriz (accepting posthumously for Jim Kriz), and Maryann Groner. Not pictured: Gayle Carr. In 2008, the Bloomingdale CHARACTER COUNTS!sm Coalition held its 7th Annual Recognition Breakfast on May 3, 2008 at 9 am at the Bloomingdale Golf Club. 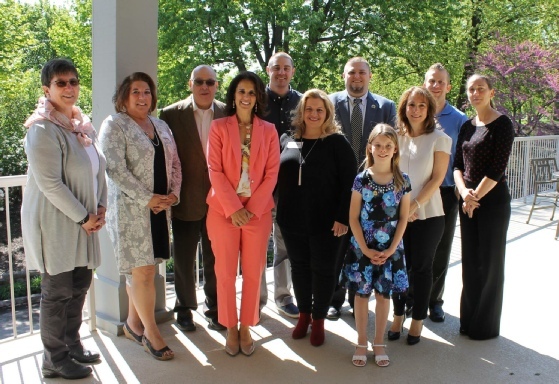 Honorees included Mike Beagley, Ann Black, Margaret Gaynor, Georgene Geils, Frank Giammarese, Haidee Gospodarek, Larry Healey, Fefe Ho, Karen Johns, Norm Johns, Sophia Kelly, Jennifer Okun, Scott Okun, Roger Rossi, Tom Schrieber, and Sharon Varga. Shown are l to r (front row) Georgene Geils, Fefe Ho and Sharon Varga. Also, (back rows) Larry Healey, Tom Schrieber, Frank Giammarese, Karen Johns, Norm Johns, Roger Rossi, Jennifer Okun, Margaret Gaynor and Scott Okun. Not pictured are Sophia Kelly, Anne Black, Mike Beagley and Haidee Gospodarek. Not able to attend were: Sophia Kelly, Anne Black, Mike Beagley, and Haidee Gospodarek (husband accepted for her). 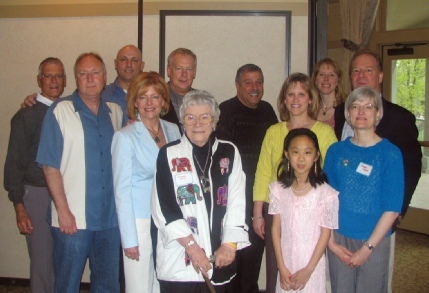 In 2007, the Bloomingdale CHARACTER COUNTS!sm Coalition held its 6th Annual Recognition Breakfast at the Bloomingdale Golf Club. 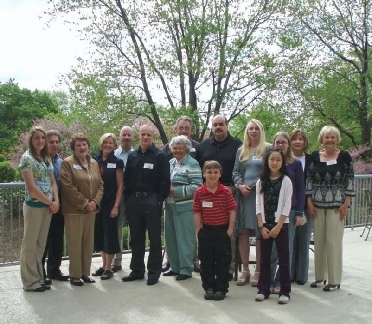 2007 winners: Branka Poplonski, Chris Wodniak, Dena Guthrie, Fred Louderman, Kimberly Paprocki, Kathy Divine, Frank Maranto, Al Canchola, Zameer Baig, Julia Read, and the Urgena Family. 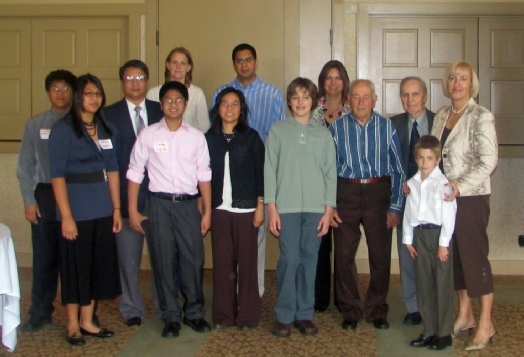 Shown are winners (left to right): Zach Urgena, Christiane Urgena, Napoleon Urgena, Tim Urgena, Julia Read, Edita Urgena, Zameer Baig, x, x, x, Al Canchola, x, and Branka Poplonski. Front Row: Danny Lamz and Natalie Wodniak. 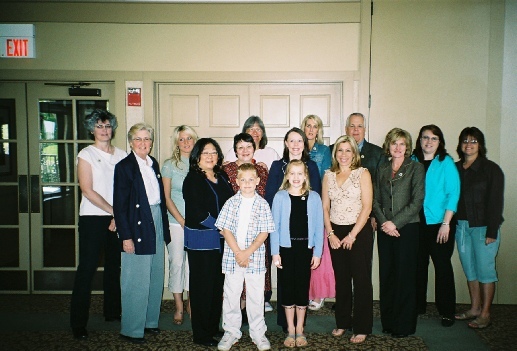 Adults behind - Sharon Kernats, Vi Morrisroe, Abbey Zizak, Dawn Arimura, Donna Kerr, Peggy Schmuldt, Charla Treanor, Jane Hove, Aviva Beal, John Butts, Marie Sweeney, Debbie Locklear, and Dina Plimmer. Not pictured: Joe Valentino, Bill Wilkinson, Julie Frerichs, Anna Marie Jamison, and Dawn Percudani. In 2005, The Bloomingdale CHARACTER COUNTS!sm Coalition held its 4th Annual Recognition Breakfast on May 7, 2005 at 9:00am at the Bloomingdale Golf Club. Community members were invited to nominate individuals who exhibit outstanding character and have demonstrated qualities consistent with one or more of the Six Pillars of Character: Trustworthiness, Respect, Responsibility, Fairness, Caring, and Citizenship. Nominees must live, work, or attend school in Bloomingdale. The nominated community members will be were honored at this special breakfast. Remember, CHARACTER COUNTS! SM in Bloomingdale! Nomination forms were available at District #13 schools, Village Hall, Bloomingdale Township, Bloomingdale Library, Winnebago School, the Johnston Recreation Center, and on-line (below). Nomination forms were accepted through April 25, 2005. A picture of the winners follows. From left to right: Lori Noonan, enthusiastic volunteer in several community activities; Randy Sater, Bloomingdale Police sergeant who has dedicated much time to our community relations, and especially to CHARACTER COUNTS! ; Emil Begovich, active senior and Bloomingdale Township Senior Center volunteer; Dave Sapinski, active and generous supporter of Winnebago School; Nancy Smith, volunteer math tutor for GED classes; Mary Jennison, organizer of the DuJardin Math-a-thon fundraiser for St. Jude's; Josephine and Ted Dabrowski, citizens who exhibit great caring; Nancy Johnson and Jeff Schiff, dedicated supporters of the National Kidney Foundation. Also honored, but not pictured are Westfield student Elliot Walte, who always exhibits great character, despite daily challenges; Mary Ringnald, extraordinary volunteer at Winnebago; Carol Goforth, volunteer with struggling readers at Winnebago; and Kathy Enzenbacher, student mentor at DuJardin School. 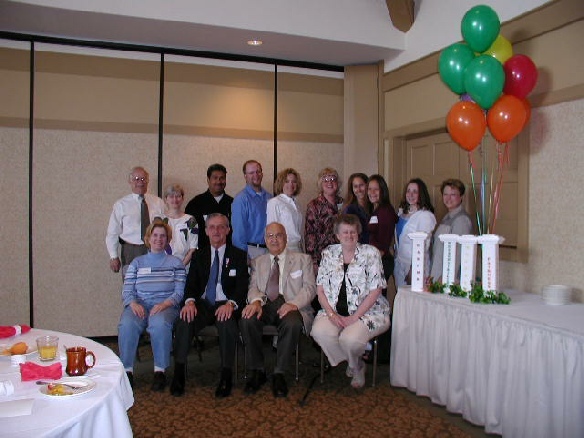 In 2004, for the third consecutive year, the Bloomingdale CHARACTER COUNTS! Coalition hosted a breakfast to honor community members of all ages. The coalition asked the public to nominate any resident for exemplifying one of the CHARACTER COUNTS! pillars - trustworthiness, respect, responsibility, fairness, caring and citizenship. Some 60 people attended the gathering honoring 18 community members. Seated: Black, Wolff, Salvino, Michalec. Standing: Helmig, Varga, Guiterrez, Lindhorn, Corsten, West, Davis, Sowa, Giacobazzi, Marino. Assistant Fire Chief Bill Wolff was nominated by both Bill Bahr and Mary Ellen Johnson. They noted Wolff exemplifies the pillars of caring and citizenship. In addition to his VFW activities, he he was instrumental to getting over 500 yellow ribbons draped throughout the area. He also spearheaded a community effort to send goodies and toiletries to the troops in Iraq and Afghanistan, a project which is still ongoing. Winnebago third grade teacher Joyce McClelland nominated parents Leonard Gutierrez, Frank Kernats and Anne Black for their trustworthiness and citizenship. They are members of the Winnebago School Partnership council, which works with the principal & teachers on building matters. They contribute toward the district’s vision of building a better school and learning community through parent support. Parent Sharon Varga was also nominated for the same reasons as a member of the District Partnership Council, which works with the superintendent on district matters. Resident Frank Salvino was nominated by Lucy Michalec as a person of extraordinary character. In addition to being involved in many community organizations, Frank was instrumental in creating the Bloomingdale Township AARP Chapter, arranging interesting speakers and striving to make every meeting an event. Bloomingdale Director of Village Services Michael Marchi was nominated by his boss, Village Administrator Dan Wennerholm for continually exhibiting the pillar of responsibility. Michael demonstrates all of the pillars consistently, but Responsibility stands out. He gives an all-out-effort to everything he does, a consummate professional. He is firm when required, always respectful and courteous. He has demonstrated significant dedication to his community in many ways. He sticks to his belief for what is right and does not compromise that. Senior Lucy Michalec was nominated by LaNora Rossi for demonstrating responsibility and through her outstanding commitment to many volunteer organizations, including Senior Council of Bloomingdale Township, CHARACTER COUNTS! Coalition, Senior Advisory Council with the Bloomingdale Police Department. Library Seniors, Republican Women’s Club. Ken Lindhorn, a Village engineering technician, was nominated by Brian Hofer, a superintendent for Rossi Contractors, who was doing some work in the Village. Hofer noted Lindhorn Ken was a friendly but firm “watchdog” inspecting the work frequently and reminding him courteously and professionally if something was lacking. “Thanks for caring about the Bloomingdale community,” he added. Westfield Middle School teacher Donna Marino was nominated by Sandy Johnson for Trustworthiness and Caring. Although Donna Marino is an excellent example of all six pillars she is nominated today for Trustworthiness and Caring. Donna has been a driving force behind CHARACTER COUNTS! in Bloomingdale since the beginning. Her commitment to the program is exhibited daily through her actions as a teacher and a member of the Bloomingdale CHARACTER COUNTS! Coalition. Donna devotes time and energy in promoting CHARACTER COUNTS! and making Bloomingdale a great place to live and work. Donna is most certainly an outstanding role model for our community. Thanks Donna! Marv Roehlke. Nominated by Detective Dawn Odoi Nominated for consistently exhibiting all of the Pillars. When speaking about exhibiting outstanding character and a pillar of the Bloomingdale Community, Marv Roehlke comes to mind. Marv is an active volunteer for the Bloomingdale Police Department as its Volunteer Program Coordinator. Marv has shown what the CHARACTER COUNTS! Pillars represent through his daily interaction with others. He is honest and direct and people admire him for these qualities. Marv is held in high regard in the Bloomingdale Police Department for his talent, intellect and vast work experience. Marv has served his community and his country. He is the neighbor that you hope to have living next door to you. It is with great pleasure and honor that Marv Roehlke be recognized through the Bloomingdale CHARACTER COUNTS! Coalition on behalf of the Police Department and myself. Marv, I truly thank you for everything that you do for and are to all of us in Bloomingdale. Kara Giacobazzi – Westfield 8th grader Nominated by Bill Bolen Kara consistently exhibits all of the Pillars; Trustworthiness, Respect, Responsibility, Fairness, Caring and Citizenship. Kara stands out in our community as a person who really cares for others. She is always willing to help out her peers with schoolwork or athletic endeavors. She readily comforts those who are neglected, put down, or lonely – and stands up for them when necessary. She is an outstanding athlete and does extremely well academically. She is a natural leader and an asset to our community. Cheryl Sowa – Lake Park junior was nominated by Bill Bolen. Cheryl was nominated for outstanding Trustworthiness, Responsibility, Caring, and Citizenship. What stands out about Cheryl are her positive contributions to our community. She is on student council, at Lake Park, volunteers for community service, such as; March of Dimes and athletic programs for youth. Cheryl is involved in athletics at Lake Park High School. Cheryl is an outstanding individual who leads by example. 1. Joanna Bravo, 2. Patrick DeMoon, 3. Carol Goforth, 4. Darren Howard, 5. Julie Koehn, 6. Jean Raimondi, 7. Jo Witucki, Westfield Students: 8. Chelsea Donovan, 9. Katherine Dunne, 10. Laura Reece.